I enjoy reading a lot of self-help, business, and motivational books and they all have a similar theme to them. No, but I do know that you can’t become successful without reading and learning something. No matter what you want to do in life, you’re going to have to learn how to do something. I wanted to learn to become a writer – I want to write and design many websites that are open for others to read and become better in life. I went to school for computer science which taught me how to program. I had a mentor teach me how to write, edit, and present articles in a manner that can be easily read and digested. He also taught me how to make an honest living doing what I love by monetizing my websites. While my mentor taught me most of the basics and some secrets, it was up to me to read and learn new ideas. While I’m nowhere near the success level that I want to be at, I am on the right way and I wanted to share with you a secret to becoming successful. If you haven’t guessed what that 1 thing is, it’s reading. Reading is one thing that every successful person I’ve ever studied do regularly.. and do it a lot. 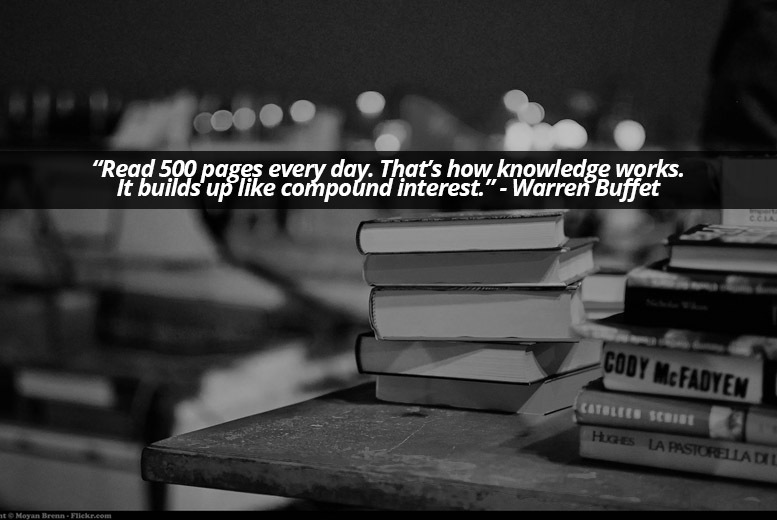 I’ve read somewhere that big money CEOs read up to 60 books a year. If you haven’t started learning how to speed read, you might think to yourself that it is impossible. I’ll admit I haven’t gone a whole year keeping a 5 book per month pace, I did go three months and read 16 books and listened to another 4 on audio. In that time that I was reading, more ideas, creativity, and positive energy flowed through me as I constantly came up with lucrative ideas. I since have not kept that pace but I intend on doing so again. If you check out my article on learning to read faster, you’ll notice I mention spending just a few minutes per day reading. This doesn’t sound like much, does it? Commit to reading 10-20 minutes per day, even broken up throughout your day – you are going to start creating a good reading habit. These small amounts of time add up and once your reading speed increases, you’ll notice you are able to read a book a week. Listen to audio books while you are commuting – This is what I did and I was able to get an extra 45-60 minutes a work day in. Read while using the restroom – Frankly speaking, most of us go a couple of times a day… why not use it to your advantage? Listen to audio books while working – If you have a job where you can listen to regular music, why not listen to an audio book? Purposely “unplug” from electronics to read – Spending time outside or away from electronics reading is a great way to reset your mind and even help with some cases of sleeplessness. I could go on, and I plan on writing an article to help you “find more time” in your day to read. Once you start reading more, you’ll begin to see what I mean about the feeling of power and creativity that flows through you. If you are looking for some book suggestions, might I point you to 9 books I recommend to improve your time management. 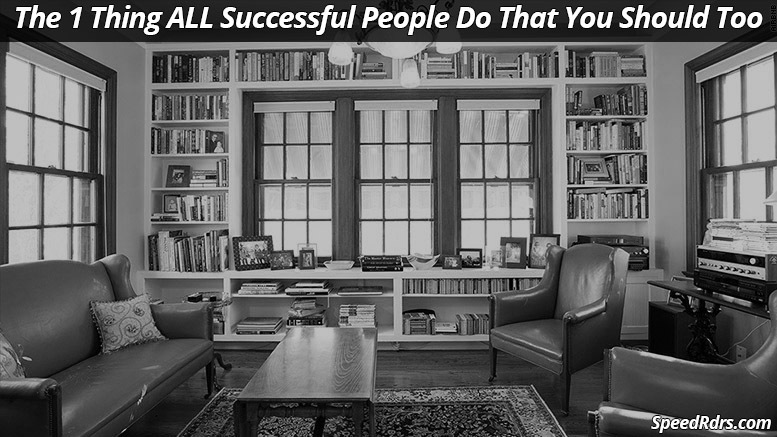 Be the first to comment on "The 1 Thing ALL Successful People Do That You Should Too"